Choose from studio, cathedral, and custom sunroom designs that will enable you to enjoy the outdoors all year round. Increase your home’s living space and enjoy the weather, no matter what the temperature, with a patio cover or enclosure from Statewide Remodeling. From patio covers to patio enclosures in Dallas, TX, we’ve got the perfect solution for your home. You can expect nothing less than the very best from our crew. We have been in business since 1994, we have completed over 40,000 projects, and we’re proud to have an A+ rating with the Better Business Bureau. As our customer, you are our top priority, which means you can choose from a variety of Dallas patio covers that fit your needs, your budget, and your schedule. High-quality construction is important to any home remodeling project, but it is especially important when it comes your patio enclosure. Our team uses products that are made right here in Texas, so you can rest assured that your installation can stand up to everything the weather throws your way. Studio sunrooms are perfect for featuring skylights and ceiling fans. Cathedral sunrooms are a great way to add dramatic flair to your home's footprint. Integrated sunrooms look like they have been a part of your home since it's construction. 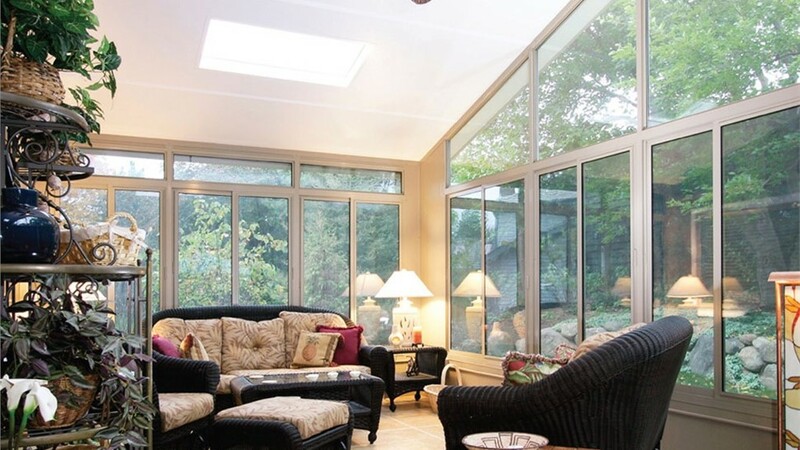 Custom sunrooms allow you to choose the features that fit your vision for your new space. Learning more about Dallas patio covers means learning how an enclosure can be customized just for your home. Call or fill out our online form to schedule your free in-home consultation with a Statewide Remodeling designer, and we can provide you with a free personalized estimate!